TROY Group, Inc. is a worldwide leader of secure on-demand printing solutions. TROY MICR printers and MICR toner offer industry-leading performance and best-in-class fraud deterrence. Widely used by banks, accounting firms and other companies in the financial sector to prepare on-demand checks, TROY secure printing solutions cut operating costs, reduce risk of check fraud and improve customer service. TROY Group had already started using an email marketing program, but wasn’t satisfied with the features, delivery rates or customer feedback. The information they received on metrics, such as bounced emails, invalid addresses or forwarded emails, was insufficient and an increasing number of their customers had unsubscribed from their email communications. On a recommendation from a peer, TROY Group checked out Pinpointe and opened a free trial account with them. They were immediately impressed with Pinpointe’s reporting and tracking capabilities and upgraded their account after sending out their first email campaign. With a reliable email marketing system now in place, TROY Group wanted to address some of their other marketing challenges. With a large list of accumulated permission-based customer emails, TROY Group wanted to fully reap the benefits of email marketing and be able to better define their email-driven sales leads. In doing so, the company needed to train their people on how to create deliverable email campaigns, maintain customers by providing a flow of product-centric information via email, and maximize the number of warm leads produced from their tradeshow visitors. With Pinpointe’s robust features, advanced automation and targeting capabilities, TROY Group now had the tools they need to easily create email campaigns that get delivered. After choosing a layout from Pinpointe’s Email Template Library, TROY Group customizes each email campaign with their own logo, text and color scheme to match their branding guidelines. They include pictures of their products by simply uploading images into Pinpointe and linking them in their campaign. Even for those employees at TROY Group who did not have any HTML experience, building an email campaign in Pinpointe proved to be very easy and straightforward. Once a campaign is completed, TROY Group takes full advantage of Pinpointe’s integrated SPAM Checking and Scoring feature, which runs their message through a Spamassasin engine and calculates an email SPAM score based on several factors – wording, phrases, HTML coding, links and tags. The feature then generates a real-time score and summary, along with detailed recommendations as to what areas of the email should be corrected. Using these suggestions, TROY Group is able to tweak their message to ensure a minimal bounce rate. Once their email campaign has an acceptable spam score rating, TROY Group then checks the appearance and deliverability of their email campaign with Pinpointe’s Email Campaign Previewer—a feature that displays the campaign as it will appear in Gmail, Yahoo, AOL, Hotmail, Outlook 2003 and Outlook 2007, and then recommends HTML fixes for each email system if necessary. With the help of Pinpointe’s email marketing system’s many features, TROY Group can now effortlessly create, send, and track a variety of email campaigns, which include emails about their products, tradeshow follow-up campaigns, and campaigns that support customer retention – all which have a high deliverability rate. With multiple staff members trained on Pinpointe’s easy-to-use HTML editor, the company can continuously ensure that all of their email campaigns get out on time and on target. 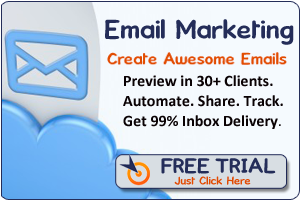 With the assistance of Pinpointe features like Spam Checker and Inbox Preview, they can skillfully choose acceptable words when preparing email campaign copy and tweak their messages to appear correctly in just about every browser – features that have dramatically increased TROY Group’s deliverability rates and limited their ‘Blocked Due to Content’ results. Furthermore, Pinpointe’s tracking and email reporting consistently provides TROY Group with a good indication as to how their customers respond to each of their email campaigns. With a greater insight into how each email is received, the company is able to tweak, change and test their messages to increase open and lead results. They are also able to gather lead information from Pinpointe reports, which is then passed on to Troy Group’s sales representatives. With the help of Pinpointe’s email marketing service, TROY Group has been able to reinforce the benefits of purchasing products from their company to their customers and prospects alike. With the improved marketing visibility Pinpointe’s system offers, TROY Group has seen a rise in their sales. The email campaigns they have sent out through Pinpointe have established their company as a source of authority in their prospects’ minds when they’re looking for secure on-demand printing solutions. Increased opens, clicks, and conversions from TROY Group’s email campaigns have resulted in a 22% increase of credible leads, along with reactivating numerous past customers.